In honor of RRC’s 10 year anniversary, the RRC co-founders reflect on their contributions to the innovative company we see today. This week, the spotlight shines on Bill Bong, Business Development Director in our Round Rock, TX office. 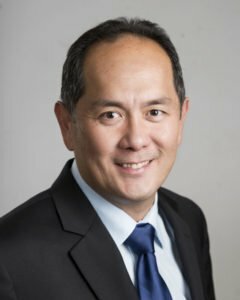 Bill Bong is one of the founding members of RRC and is responsible for developing business leads for the company. Bill has been in the engineering field for over 17 years and involved in the wind industry for over 11 years. He started his career as a geotoechnical engineer with Standard Testing & Engineering in Oklahoma City, OK. Since co-founding RRC, Bill and others have positioned the firm as experts in the wind energy market. He serves the energy sector as a senior project/client manager and has managed numerous wind farm projects which include foundations, roadways, electrical substations, and transmission lines. Mr. Bong is considered an expert in project and client management. His expertise in the field and personalized approach has earned significant repeat business from a long list of wind energy clients. With a Bachelor of Science and Master of Science in Civil Engineering, Bill is an entrepreneur who has always been drawn to starting and running a business. For him, part of the inspiration for starting RRC came from the belief that hard work should be appreciated and rewarded. Starting a business was a way for Bill to create the systems that would allow employees to shine. Bill recalls the McAdoo Wind Farm as being particularly memorable because he acted as the Project Manager and Engineer responsible for the proposal, project negotiation, drilling management, field logging, laboratory testing, reporting, and invoice generating for the project. His hopes for the future of the company include being successful in the multi-discipline engineering field and to be well known in the industries RRC serves. In his spare time, Bill enjoys traveling with his family, swimming, and reading business magazines.